Planning an international press trip starts with attending a media exchange event. 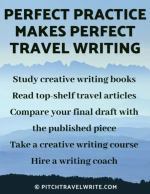 When you have access to large numbers of “regular” travel publications, it’s time to start attending these events. In this article I use my 12-day press trip in SW Germany as an example. 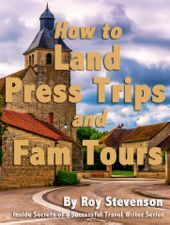 It’s the simplest way to show the steps involved in organizing this kinds of dream press trip. The starting point for this international press trip was attending the Visit Europe Media Exchange (VEMEX) event in Chicago. This event is by invitation only and you must apply in advance. 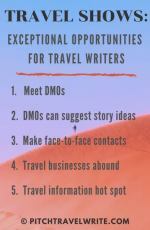 VEMEX matches up proven travel writers with national and regional tourism agencies looking to publicize their destinations. While attending VEMEX, I hit it off nicely with the Visit Germany media representative. I told him about some of my regular publications, and he was able to suggest many attractions in S.W. Germany that were a good match. After the conference I rounded up numerous paying print assignments for: Stuttgart, Baden Baden, Baiersbron (Black Forest), Alpirsbach, Heidelberg, Aschaffenberg, Seligenstadt, Koblenz, Wiesbaden, Erfurt and Berlin. Armed with confirmed assignments, I contacted the tourist offices in SW Germany and requested assistance with travel. My 12-day international press trip took place the following summer after the VEMEX event. Yes, there’s a lot of planning that goes into this and it takes time! First there's the planning, then pitching and getting assignments, and finally linking up with the tourist offices. The German National Tourist Office (GMTO) designed and coordinated my itinerary. The S.W. Germany Tourist Board, Visit Berlin, and the Historic Highlights of Germany organization also sponsored it. My 12 day press trip unfolded with clockwork precision. Not one hitch! German tourism promotion groups are very well organized. Kulturbrauerei Heidelberg in Old Town. Aschaffenburg-Renaissance Castle on the Rhine. Tour of Seligenstadt (Glaabs Brewery). Long tradition of brewing. Town with views of the Rhine. Loved this place! Wiesbaden & Baden Baden Spas. Wiesbaden is an upscale spa city with castle. Three days touring various attractions for several assignments including 3rd Reich Berlin assignment, Karlshorst surrender museum, Communications museum, Roundup stories, Beer & breweries. All costs were covers for this 12 day trip: transportation, accommodation, meals, private tours, and entry to attractions. My press packet held my train tickets along with detailed instructions about when and where to catch my trains or pick up my rental car. It was VIP treatment all the way. 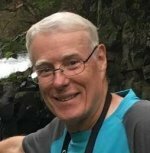 A personal tour guide met me at each destination. The guide was at the train station holding a sign with my name. He or she then escorted me to my hotel and took care of getting me registered. Then, for several hours we’d tour the town’s highlights. Each evening the guide accompanied me to a local restaurant. After dinner on some nights we watched cultural events like the huge outdoor opera in Erfurt. Some hotels were high-end luxury accommodations like Stuttgart’s Hotel Abalon, Baden Baden’s Hotel Belle Epoque, and Baiersbronn’s Hotel Bareiss. My gorgeous room in Hotel Abalon could have accommodated three families — it was enormous! That’s it! 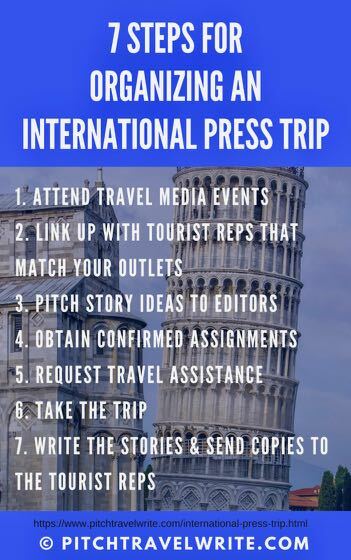 Just follow these steps and you’ll be on your way with your own customized international press trip.